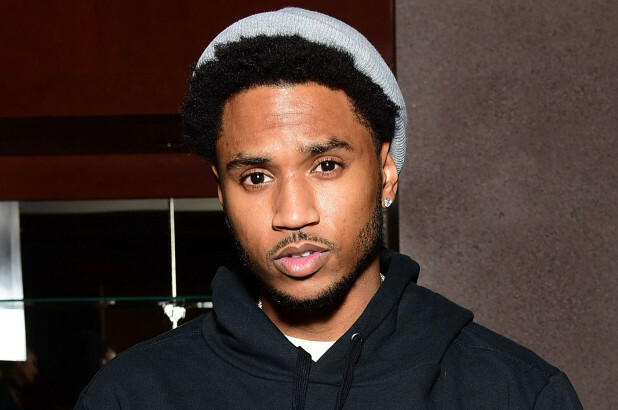 A restraining order against Trey Songz has been granted to a woman who claims the singer punched her at a party. The incident is said to have occurred on the 18th of last month prompting a request for a domestic violence restraining order by the woman. In a statement made to a local newspaper in New York, the woman who claims to be the victim said that she had known the R&B star, whose real name is Tremaine Neverson for the past few years. She says both of them had been in a relationship with each other on certain occasions, and considered each other friends. While laying out the events of the incident, she says Trey got angry with her when she was talking to another man and accused her of cheating on him. According to her, the singer than proceeded towards her in a threatening manner and began choking her. In order to defend herself, she hit his hand that was around her neck, and managed to free herself of his hold. However, she says that he then started to punch her in the face but she somehow managed to get away. She added that other people stood and watched as she cried and screamed for help, when he chased her around a car in the garage. He hit her again and threw her two phones down a cliff when he caught her. She goes on to say that he later reimbursed her for the phones and started to apologize, and gave the order to a driver to take her home. She goes on to say that she suffered migraines all day that made her vomit, which ultimately resulted in her going to the hospital. Photos of bruises on her arm, jaw, face and back were submitted, along with her petition of a restraining order against the singer. The Los Angeles Police was present at the hospital, as she filed a report of the incident. The restraining order was approved by the judge after hearing the victim’s statement. The mentioned that the singer now had to stay away at least a 100 yards from her and is not allowed to contact her by any means. Meanwhile, the hearing for the charges against the singer will be held on the 27th of March. There was a statement made by the lawyer of the victim, Lisa Bloom, who said that the initiative was taken to protect the rights of her client to live and work peacefully. She also added that she and her client would be doing their utmost in cooperating, and helping the law enforcement in solving the case. It was a very serious matter in her opinion as she also made a request for someone to come forward if they had any information. She pointed out that a lot of people, including Trey’s friends and fellow employees were present and were witnesses to the incident. She called upon them to not be an onlooker and step forward in order to stop violence against women.